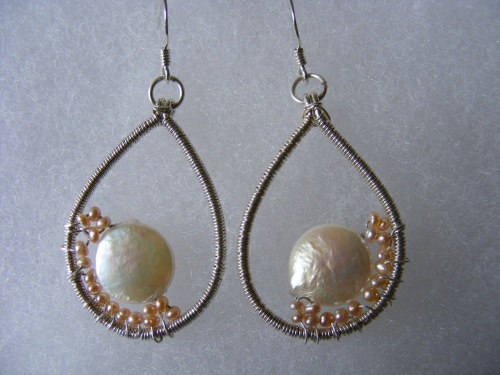 These oval hoop earrings are embelished with pretty little peach pearls and have a coin pearl as the focal. All have been woven with care to make this a special pair. French hook ear wires are in sterling silver.